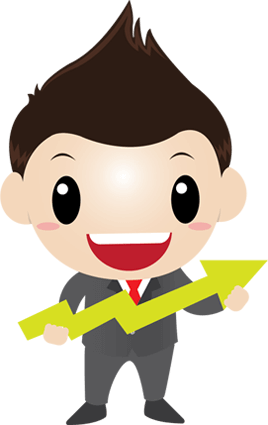 What if you could jump to the top of Google... and rake in hundreds of FREE visitors in highly competitive niches... without slaving over SEO all day? 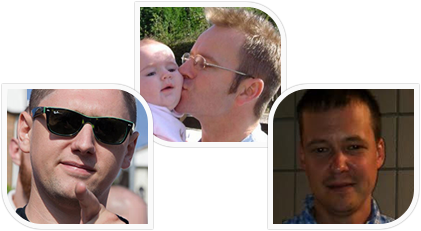 Hi, our names are Peter Drew, Craig Crawford and Robert Phillips and we're about to show you how to easily rank in Google with a world of “hidden” buyer keywords that your competitors will never see! 71% of people use Google’s Auto Complete tool to find what they’re looking for, and unlike other tools, RankSpy instantly shows you hundreds of Auto Complete keywords with low competition! 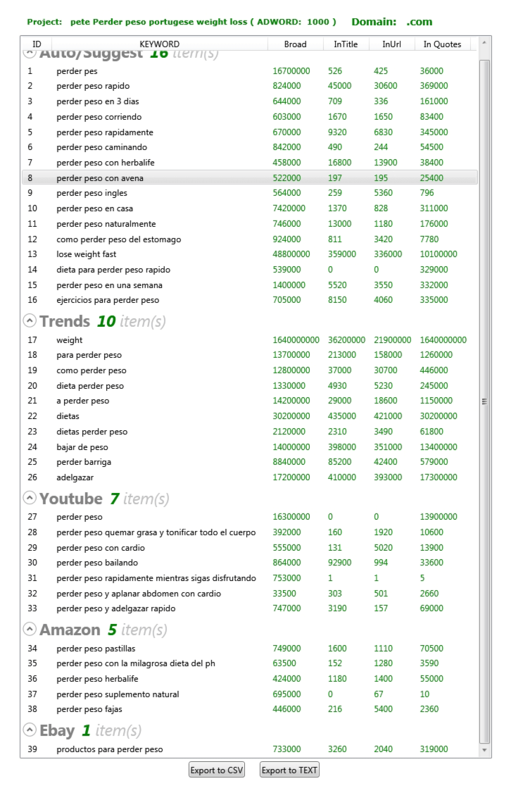 Pull in hundreds of buyer keywords from the Google “trend engine” that your competitors don’t know about! 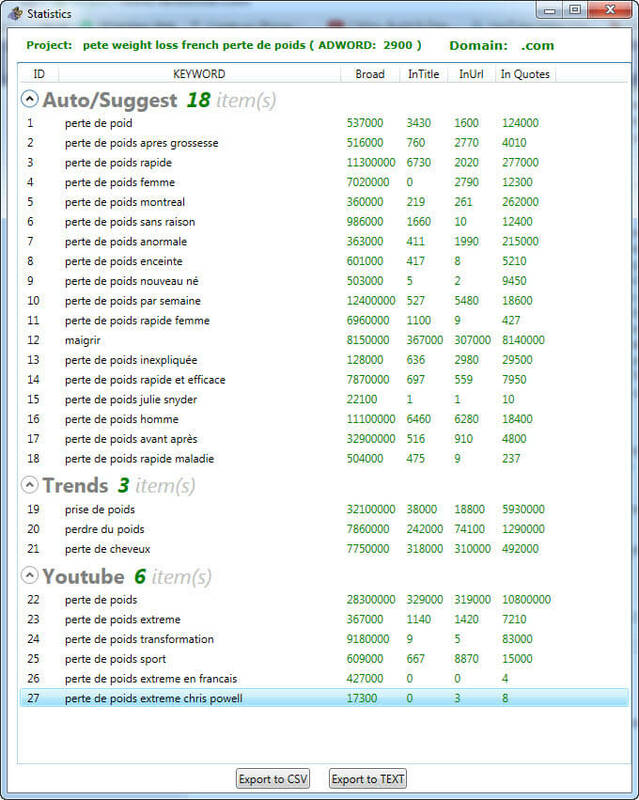 Finally uncover hundreds of related keywords in seconds, ideal for generating content ideas and finding hidden opportunities that others easily overlook! Why stop with Google? Tap into thousands of little-known, hard to find keywords that people are typing into YouTube each day... and use these keywords for blog posts, videos, or to find out what your market wants! 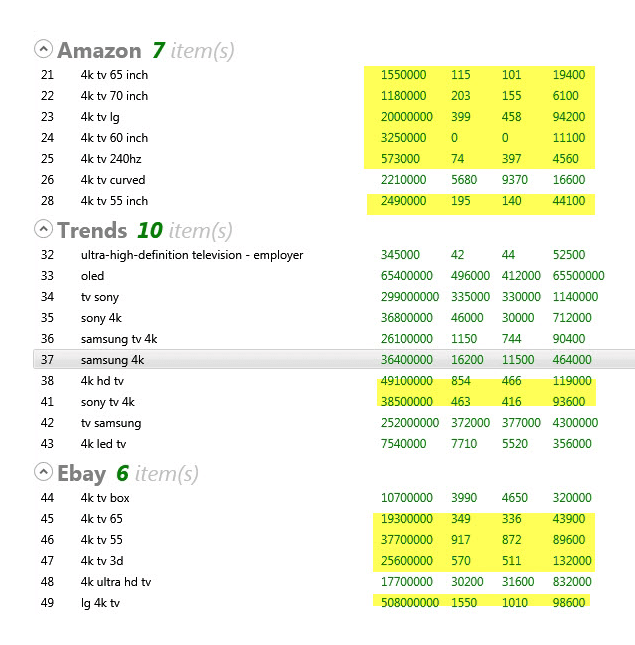 Rake in hundreds of product related search terms from eBay’s auto complete tool. Great for product research and blog post ideas! 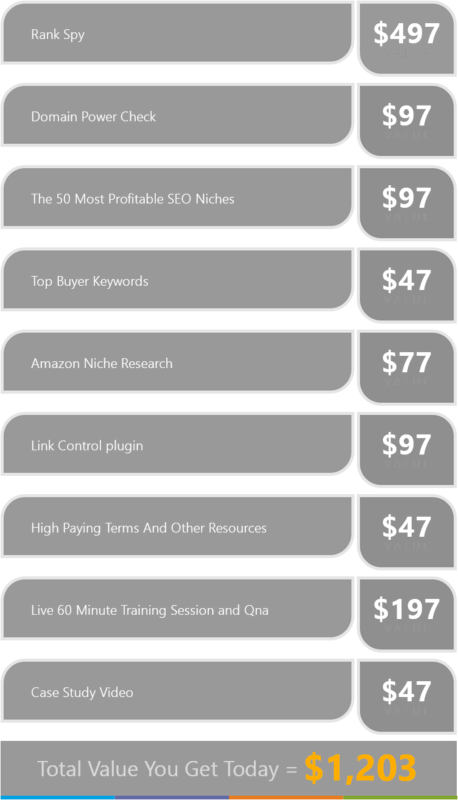 Grab thousands more buyer keywords from the world’s biggest online store! 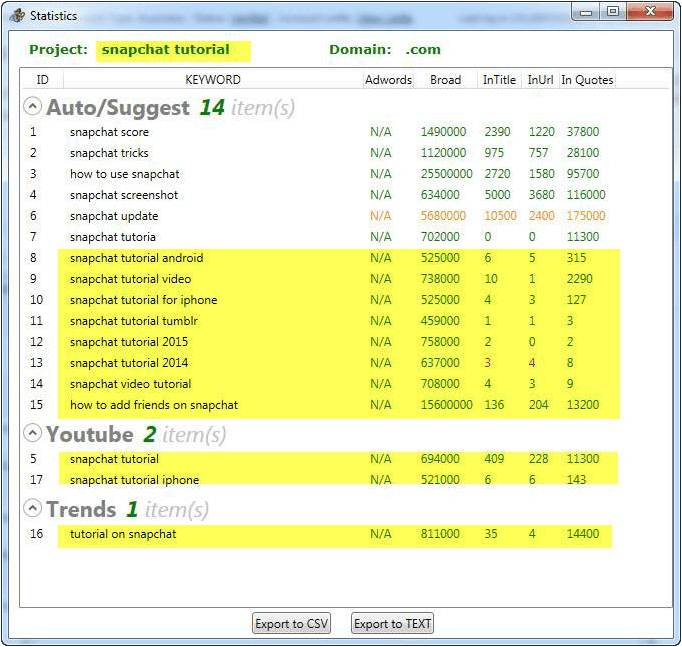 Uncover The Keywords That Other Tools Won’t! … you’re unearthing hot-off-the-press, buyer focused keywords that other tools don’t deliver. … and enjoy all the FREE traffic your heart desires! This was one of the best unexpected surprises that came out of testing. 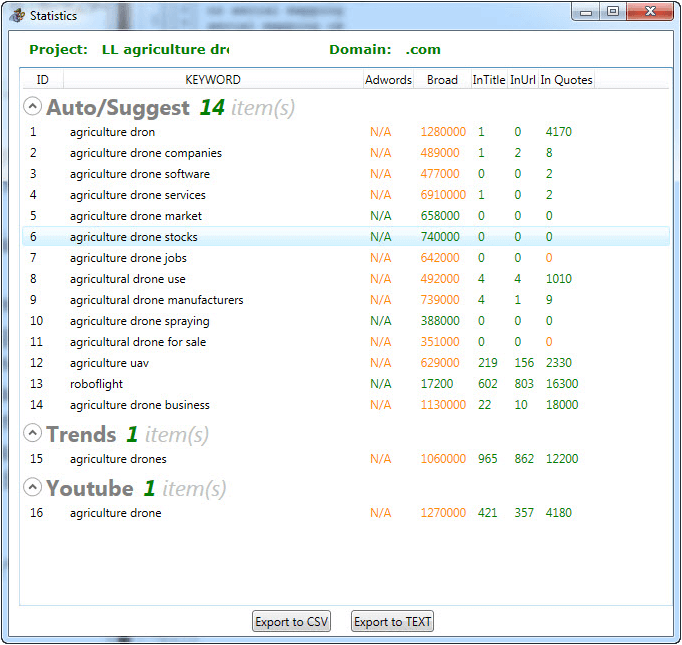 One $50k product term was entered (agriculture drone) and I just couldn’t believe my eyes. Not only did the software reveal an untapped incredibly high paying Niche for me, just looking at it, I could see easily how to build out an Authority website based on this term AND the software showed me instantly each Category to build out the site with. So we are in the process of doing exactly this. Now you understand what the data is that's presented. You can SEE how this data is displayed in such a way that its nearly impossible to miss awesome niches, just like this one above and you can also see how simple it is to create an Authority site, and the software “shows” you your directory layout and the content needed. 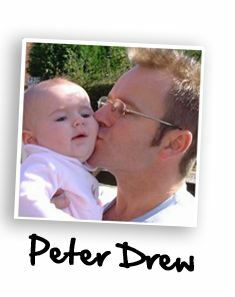 Plus all these terms are incredibly easy to completely dominate in the Search Engines. The terms we source from Amazon and eBay are terms used by people who are looking to BUY something. This is how simple it is to use. Choose a high ticket item like 4K TV, enter it in RankSpy, the most intelligent software on the market, because it produces these results below. Showing You Exactly which terms you can rank for easily, terms that for some reason other people did not know about. But We do right Now! As you can see from these results highlighted in Yellow, and that's from just 30 seconds of my time to discover these incredible terms. e.g. Amazon Result 24. 4k tv 60 inch has NONE, not even one page optimised for this term, this would be incredibly easy to rank for, almost instantly. E.G. Ebay Result 45. 4k tv 65, very little competition. These just incredible results revealed from virutally no input from you, just entering a high paying term reveals the hidden gems inside. 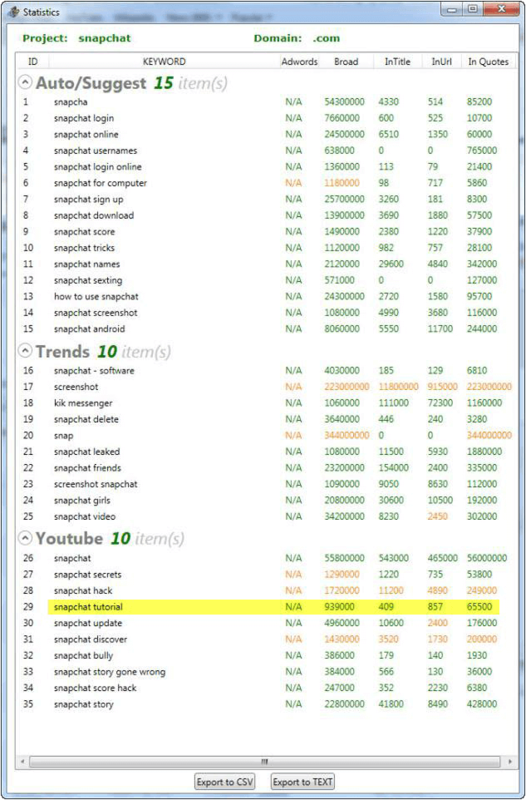 Video marketers will be blown away at the results RankSpy provides. They’ll be able to see in a heartbeat which terms they can rank for in Google and other Search Engines, also knowing they’ll rank just as strong in YouTube.com itself. Generating a ton of traffic and leads for themselves and their clients. 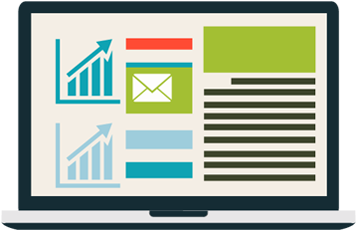 SEO Agencies will dramatically increase the ROI. Taking much less time producing results while still charging the same rates = More Profit! In these examples below, the two center results columns show how sites or pages in the entire Google Index are optimized for these terms. We want to find terms that have low scores in the InTitle and InUrl columns, These are the Gold Nugget terms we all search for. Now RankSpy provides these results almost instantly! 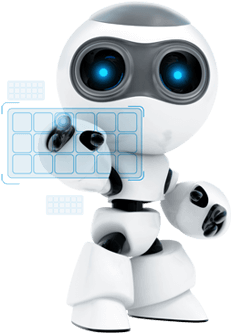 Typically we enter a powerful high paying keyword phrase and collect all the results. Then we choose the ones with low competition scores and run them through the software again. 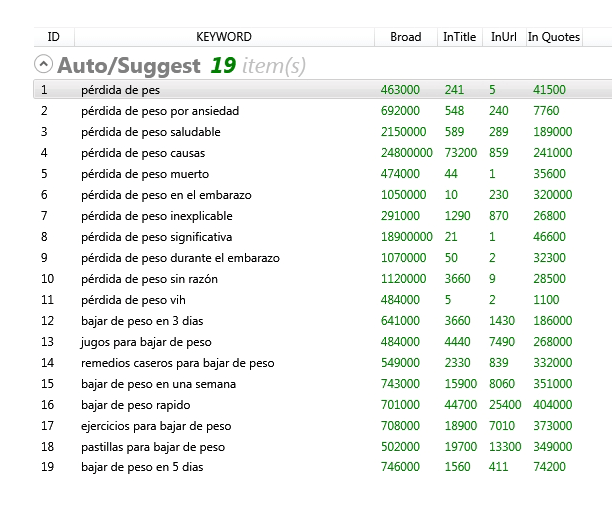 And THEN, this second run produces TONS of awesome low competition terms that we can all rank for almost instantly. Target Any Country Or Language! By creating websites in different languages, you can tap into millions of people who are searching for your content, products and services, in different languages and different countries around the world. And with RankSpy, you can instantly unearth millions of low competition, buyer focused keywords in different languages and countries that your competitors are overlooking! You'll see the amount of locations increase dramatically, giving you the opportunity to use any of the locations presented in the drop down menu. Easiest Keyword Tools You’ll Ever Use! Thanks to the automatic sorting, analysing and filtering technology, you only see the keywords that matter… keywords that are low competition, buyer focused and easy to rank for! Simply enter your seed keyword and tap search… and watch as RankSpy goes to work. 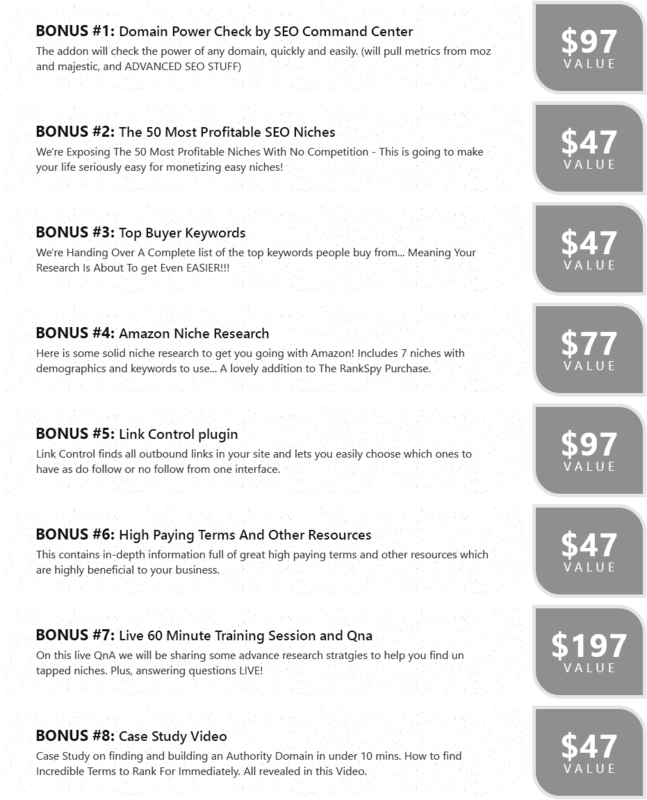 No need for endless backlinks, shady SEO tricks or complicated advertising campaigns... RankSpy finds all the “hidden” and low competition keywords you need to dominate any niche quick and easy... even if you’re a total beginner and have never had a single website visitor until today! Found a great term "snapchat tutorial"
As you can see from the above results. 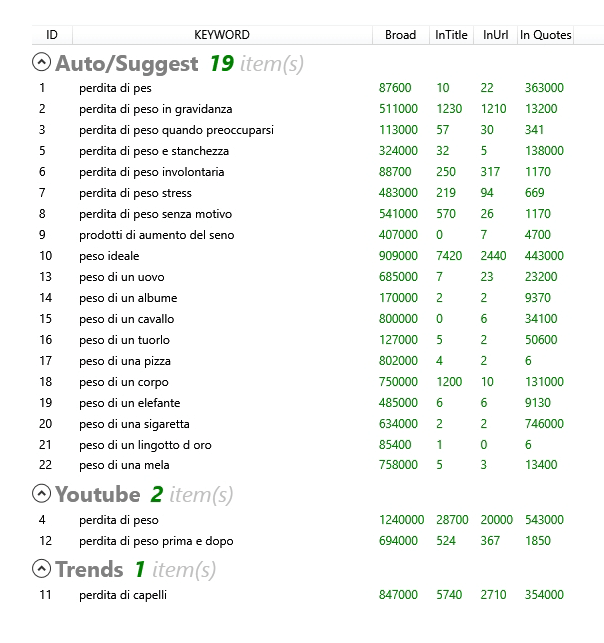 Those terms found in the second query are insanely easy to dominate in the search engines, why? they have virtually no optimised pages competing for all those terms. So you’ll never lose your keywords, and you can pick up where you left off, no matter where you are in the world!! 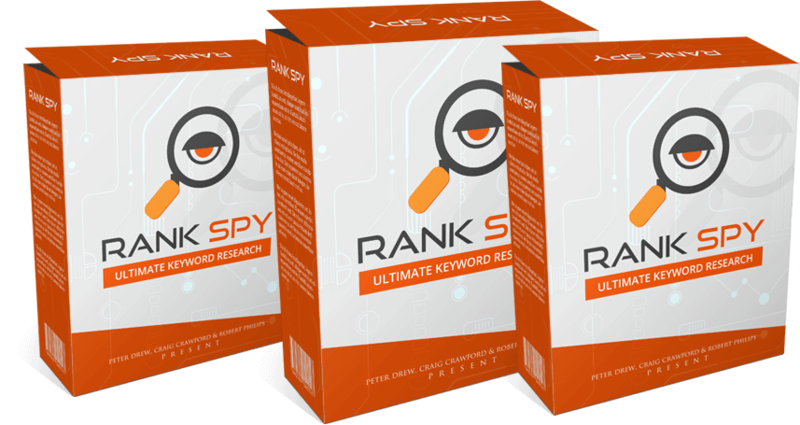 Whoever you are, and whatever you’re selling, RankSpy gives you a massive shortcut to easy Google traffic… putting you in front of real potential buyers, with keywords that most of your competitors will never know about! Now you create highly profitable, low cost PPC or PPV campaigns with keywords that nobody else is targeting. After all, when there’s practically zero competition, you’ll always pay the lowest rate per click! 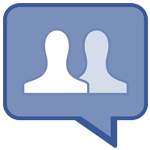 Ask questions, share tips, and mix with other marketers and potential partners! 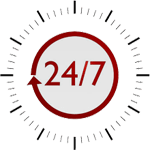 If you ever need help or have any issues, we’re on standby, 7 days a week, ready to help if you need us! We're giving you a $1 trial for a whole 5 days! Why don't you test RankSpy out for an insanely low price of just $1.00 for FIVE days! This eliminates any risk... 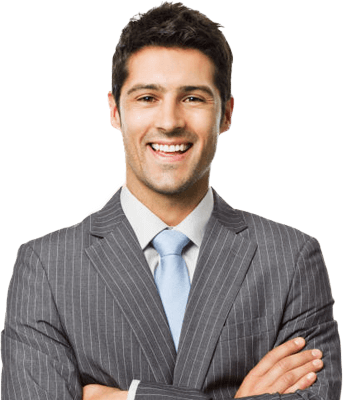 But once you see the power this software boasts.. You'll happily continue with whichever plan you've chosen to maintan your unfair advantage over your competition! This is the BEST tool out there.. Don't waste a good opportunity! 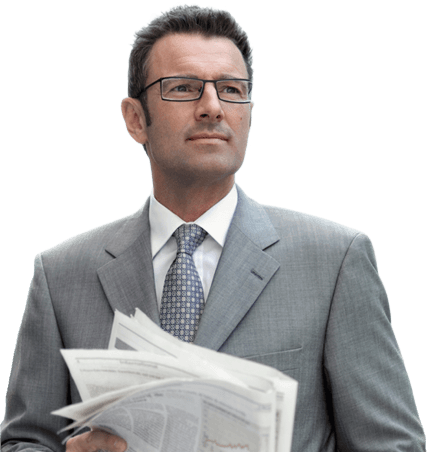 If you’re serious about getting to the top of Google and enjoying fast and free traffic in any niche without wasting time and money targeting the wrong keywords... then RankSpy is for you. 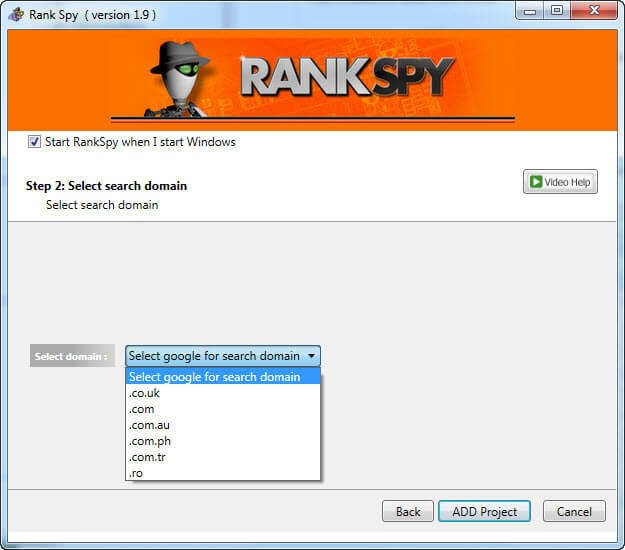 If you’re serious about bypassing weeks of SEO work and fierce competition with “hidden” buyer keywords that you can build content around, and dominate Google... then RankSpy is for you. No need to pay hundreds of dollars for some clunky keyword tool that delivers the same results that your competitors are getting. 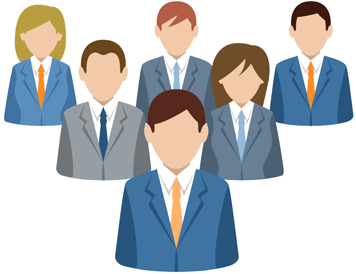 No need to spend hundreds of dollars outsourcing your keyword research over and over again. No need to waste countless hours fighting for page #1 rankings, or paying top dollar in Adwords, only to find out that your chosen keyword doesn’t convert into sales. 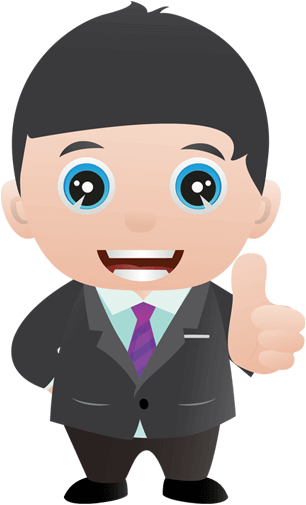 … because RankSpy gives you low competition, buyer focused keywords at the push of a button instead! WAIT! We're not done, Yet! Today you're also getting these AWESOME BONUSES! Can You Really Afford To Wait? Right now, you’re leaving these “hidden” buyer keywords on the table, along with hundreds of potential visitors and bags of cash too. 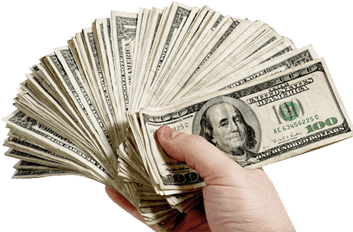 Can you afford to leave that money behind? Right now, you’re wasting precious time and money fighting over the same keywords as everyone else. Can you afford to keep living that way? With RankSpy, you could be tapping into a world of golden keywords in minutes from now, and finally putting an end to the daily struggle for Google rankings, once and for all. Finally, you can stop wasting time and money, and start targeting keywords that your competitors will probably never know about. Sure, you can keep playing the SEO lottery and hoping the Google gods will change their rules in your favor one day… or you can test drive RankSpy for an entire 30 days, and finally take control of your traffic and start making the sales and income you deserve.